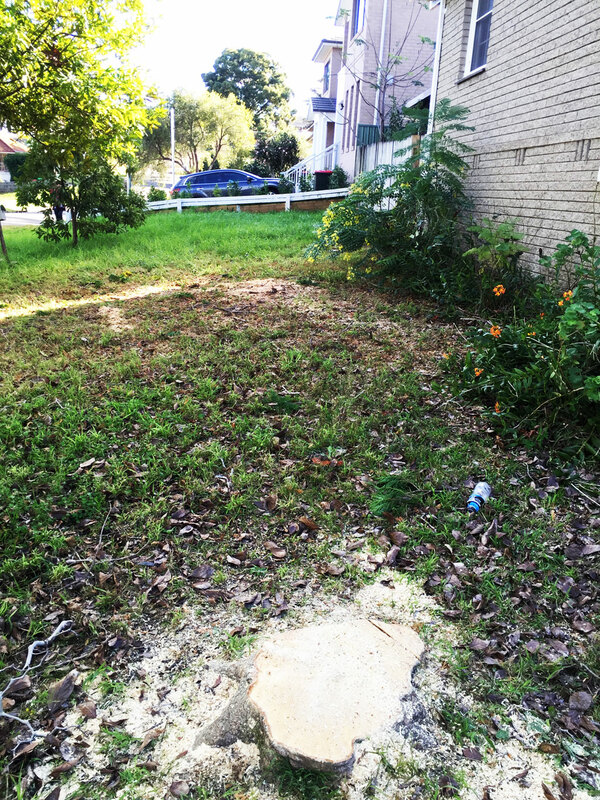 Once the tree is removed, and all the branches have been mulched, the area of the property where the tree was looks terrific except for one thing…. The stump. Unless you are Superman, it would be pointless to dig out a stump anywhere near the size of this one. The roots will be thick and far reaching, and you may have to dig up half your lawn to try to access and chop off those roots. A quick and relatively inexpensive way to complete the job is to allow us to grind the stump to below ground level. This effectively kills the tree completely, and allows for a layer of soil to cover the area with no evidence there was ever a tree there. Now that’s the way to get the finish we all want!